Chris wasboth born and raised in Hitchin and haslived there all of his life attending went to Hitchin Boys' School. In addition to degrees and post graduate certificates in Osteopathy, Chris holds a degree in Computer Science, along with an HNC in engineering. Chris is a registered Osteopath with the General Osteopathic Council. He holds a first class degrees in Osteopathy, having graduated from the College of Osteopaths at the top of the class in 2006. He completed post-graduate training in 2012 amongst other osteopaths, again finishing at the top of the cohort. In 2018 Chris was invited to join the Osteopathic Leaders Programme by GOsC, the Institute of Osteopathy and the Open University. 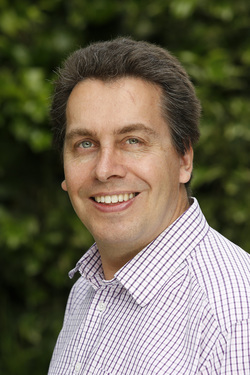 He is a Senior Clinic Tutor and Lecturer at the College of Osteopaths. Chris became a Final Clinical Competency (FCC) Examiner in 2010 ensuring that graduating students meet the standards required by the General Osteopathic Council. He teaches the next generation. Chris became the acting Deputy Clinic Director at the College of Osteopaths in 2015. Chris has trained for years in South East Asian martial arts with the foremost Malaysian Silat Master in Europe. His special interest areas are foot biomechanics, pelvic imbalances and treatment of the elderly.